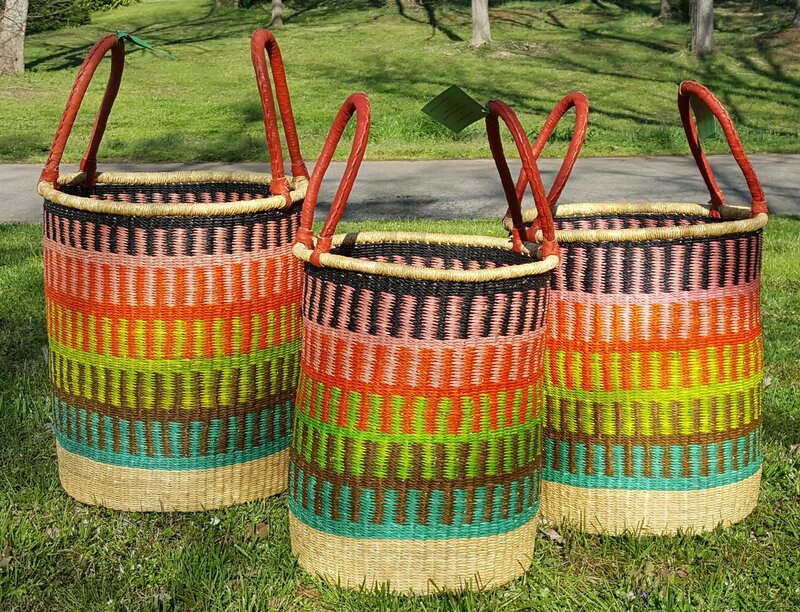 Handmade in Ghana by a rural women's cooperative guided by Fair Trade policies, this set of hampers from the Bolgatanga region of Ghana will last for years and years. This woven hamper is perfect for toys, laundry, blankets, etc. The possibilities are endless! The hampers are woven with twisted elephant grass, dyed with colorfast dyes, and have two leather handles. If necessary, the baskets can be returned to its original shape by getting it wet, gently reshaping it, and letting it dry. All so available as the set of 3.